Online Health Coaching – from Anywhere! We are striving to build a convenient and effective method for you to achieve greater health. The best thing in the world is sustainable results. We want that for everyone. Our online health coaching model is designed to be the journey that takes into account the difficulties of implementing healthy habits. BBCT’s online higher health coaching program teaches a progressive approach in attaining health & happiness. Content is sequentially released each week to ensure habits are being made and that you do not become overwhelmed. We cannot out train sub optimal nutrition. Aligning diet first will make your fitness goals far easier to achieve. Most people fail because they try to make too many changes at once, only leading to frustration. Our 12 week, 12 step program prevents this from happening. It’s a one time purchase with lifetime access. I truly hope you will visit the link below and learn how we can help! Create healthier habits – anywhere! Gradually improve your health, lose weight sustainably and logically! New information weekly to understand the foundations of good nutrition, and build on it. Dozens of recipes make it easier, along with grocery shopping lists, clean foods lists and more. Hundreds of exercise technique videos & step by step mobility and fascial release videos. Knowledge, tools and resources to help you change your life! 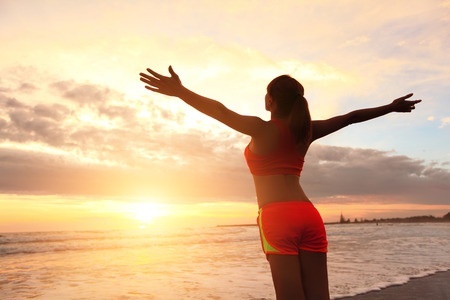 Each week you’ll get a new topic to help you get healthier – mind, body and spirit. Join our Facebook Group for instant access to our health coaches for support. It’s a great place to communicate with your peers too. Learn all kinds of information about overall health, wellness and fitness and how they affect many different areas of your life.